Having embraced Part I, Part II “Time Passes” was like no other reading experience in my life. I found myself frantically responding to the deaths chronicled there with a sense of visceral shock, as one does in real life. I return to this novel probably every other summer (you have to read it in summer) and so poignant is the presentation in Part II each read brings the same emotions afresh. Part III is, for me, less memorable, but perhaps it’s intended to be. I have chronicled elsewhere, in a long memoir essay published in Eve Shellnut’s The Confidence Woman (1990) my experience reading A Room of One’s Own for the first time. 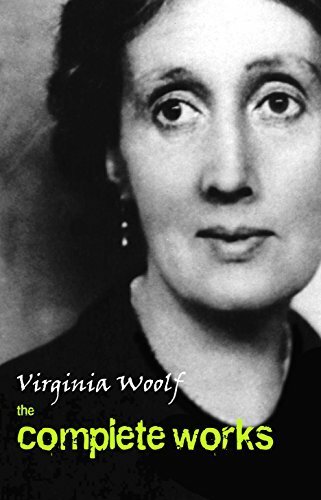 In this small, perfect book, Virginia Woolf expresses clear, precise, beautifully articulated Outrage. Modulated, charming, but Outrage just the same. Reading it for the first time late one night and under less than ideal circumstances, I felt like The Great Virginia was throttling me, shaking my shoulders and shouting (not at all modulated, shouting!) DON’T YOU GET IT???? And having once, yes, thank you, Got It, you can never again look at literature in quite the same way. 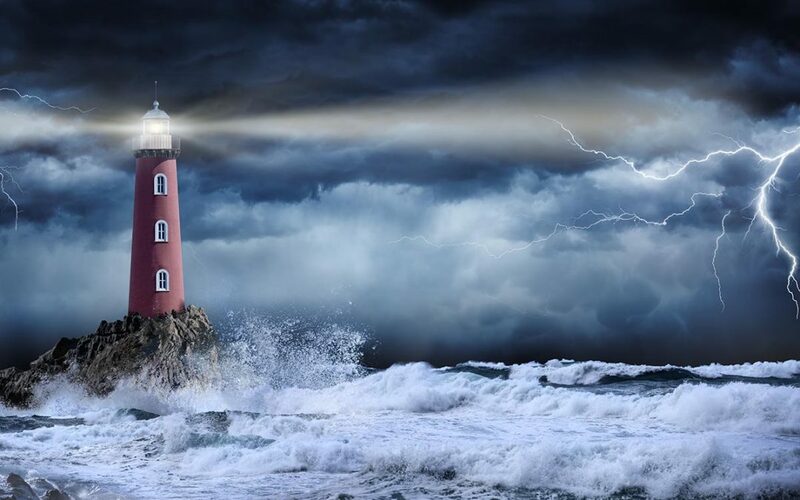 A Room of One’s Own and To the Lighthouse are filled with insights that have guided my reading and writing life. I am not alone in this. Two years ago a dozen women writers, celebrated her birthday with a party at my house. One of them made a delicious boeuf en daube, the very dish served in To the Lighthouse. I was in charge of dessert, and I assure you it was NOT prunes and custard. (Avocado sorbet and/or Coeur ala Creme.) 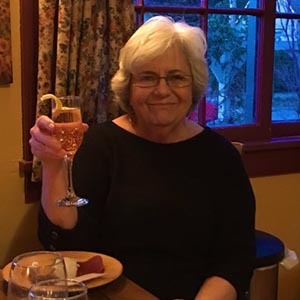 We each read a short passage from her books that had mattered to us as writers, and toasted her special day. I also created the playlist to play in the background. No easy task. Quite apart from the musical changes between 1882 and 1941, it was further complicated because I could not imagine Virginia’s life in music. Did she have one? I could not imagine her father, be-whiskered, eminent, intellectual Leslie Stephen, escorting his children to anything so mundane as Christmas pantomimes, or frothy Gilbert and Sullivan productions. I also cannot imagine Virginia and her Bloomsbury compatriots as young people trooping off to the Edwardian music hall for a raucous evening of songs like “I’m a Suffragee,” the lament of a Suffragette’s husband. (Though I feel certain they would have enjoyed the male impersonator, cross-dressing Vesta Tilley who made famous “Piccadilly John with His Little Glass Eye.”) I also cannot imagine the Great Virginia and her friends (now middle-aged) swanning about in swank London night clubs while any of the jazz greats like Duke Ellington played. Cannot imagine them going to a Fred and Ginger movie in the 1930’s. No matter. Into the playlist pool went Victorian standards, jazz and music hall, 227 in all. Once at a dinner party in England in the 1980’s, I met the son of Vita Sackville-West, a man who knew Virginia Woolf in his childhood. (I’m sure he thought I was an American twit, and he was probably right.) But I surprised myself with how proprietary I felt about her, realizing only later that any great writer who makes their way into your heart and mind, that writer does belong to the reader. Happy Birthday O Great Virginia from me and all the other readers whose lives you have forever touched. Wonderful remembrance of The Great Virginia. 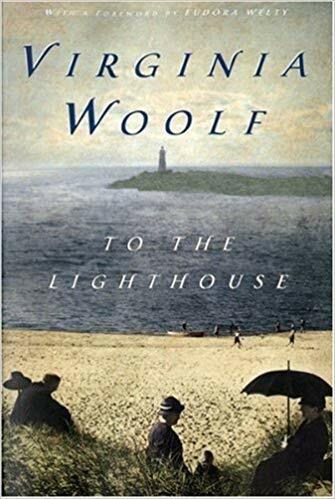 I’m grateful I gave To The Lighthouse another try in my 40s—I couldn’t read it in my 20s—and I’ve now read it several times. One of my favorite books.